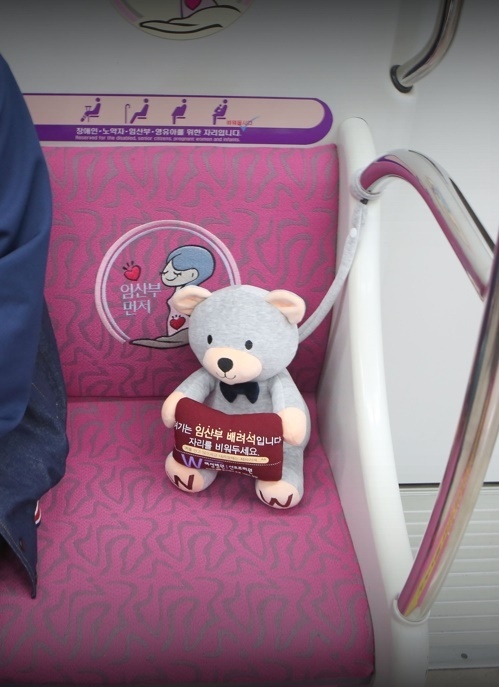 DAEJEON, Nov. 3 (Korea Bizwire) – Transport authorities in Daejeon have placed teddy bears in local subway trains to help raise awareness of priority seats for the pregnant, a move inspired by a local hospital. 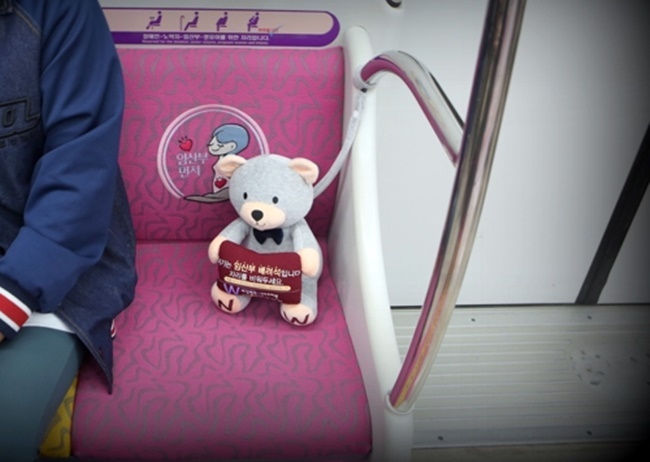 Teddy bears are the latest in a series of efforts by Daejeon Metro to create a friendlier environment for pregnant women, including changing the color of the designated seats to pink to distinguish them from regular seats, as well as decorating the floors of passenger cars and platforms with stickers informing and asking for cooperation from subway passengers. The latest tactic comes after medical staff from a local hospital and Daejeon Metro bounced ideas off each other, with four teddy bears placed in every passenger cart, a total of 84 priority seats in one subway train. 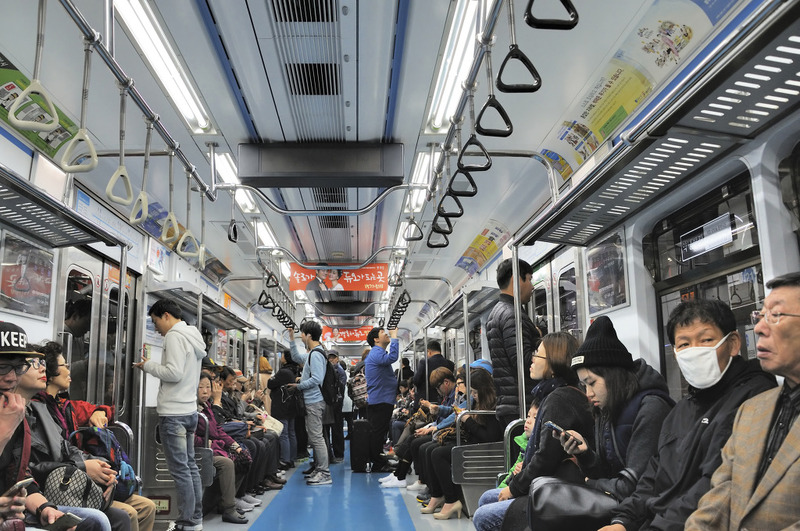 “The placement of teddy bears will help change the perception of priority seats and create a more pregnant women-friendly environment,” said Kim Min-kee, the head of Daejeon Metro.